The year of 2015 undoubtedly belongs to Bajaj. 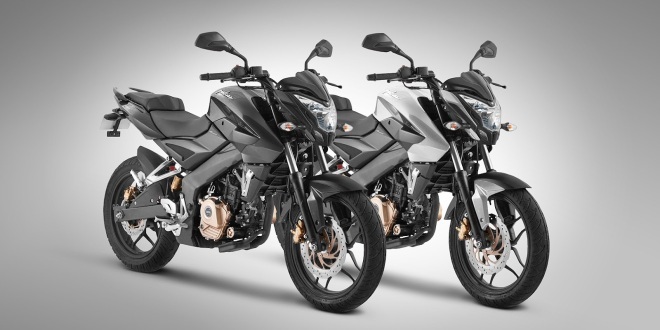 Bajaj has launched several bikes under different series – Bajaj Pulsar RS200 (Racing Sport Series) and Bajaj Pulsar AS200 and Pulsar AS150 (Adventure Sport Series) in this year. Also there are three new bikes from Bajaj which are coming in this fiscal year. Sources have confirmed that the Bajaj Pulsar NS150 is going to be released by next month that is May. Bajaj Pulsar 150NS or otherwise might be branded as Bajaj Pulsar NS150 would sport 149.5cc, twin spark, 4-valve, air cooled, DTSi engine that churns out a maximum power of 17PS @ 9,500 rpm and a maximum torque of 13Nm at 7500 rpm. The specification is as per the leading industry standard bike. Talking about the weight of the bike it is around 135 Kgs ( Kerb Weight). A very important change on the 150cc Pulsar from the existing Pulsar model is the styling of the bike, which is very similar to that of bigger Pulsar 200NS. The list of prominent changes include underbelly exhaust, brand new alloy wheel design, instrument cluster, rear monoshock, perimeter frame, new headlamp, and new tail lamps. What do you think about this aggressive move by Bajaj? Releasing the bikes one after the other.